In the past two days, a video where two Palestinian teens are supposedly seen collapsing in front of cameras next to Camp Ofer has been spreading across the social networks. Palestinian commentators explain that the boys were intentionally shot, for no reason at all, by IDF soldiers. This isn’t the first time that the Palestinians have used hard-to-watch videos of the supposed deaths of innocent children in their campaign of incitement against Israel. In many of the cases, we learned in retrospect that the videos and photographs were edited or fabricated. The most notable case is the story of the child Muhammad al-Durrah from Gaza, who despite accusations against IDF soldiers, was proven to have been shot and killed by Palestinian bullets. They say that a picture is worth a thousand words, but in the Palestinian’s case, one thousand words are required to explain one picture. These propaganda videos are a part of the Palestinian campaign of delegitimizing Israel on the international scene. The Palestinian concentration of effort on the propaganda front, especially on social media, is a result of their inability to face Israel, militarily or economically. The Palestinian goal was and remains the destruction of Israel by turning her into an illegitimate state and crumbling away her position on the international scene by presenting Israel as a perpetrator of war crimes. Every country under threat or being attacked has the right to self-defense, and Israel acts by virtue of that right, just like other democratic states who operate in Iraq, Afghanistan and Yemen and every other place in the world. The organization for the “protection of Palestinian children” stands behind this latest video, as they were behind the Muhammad al-Durrah video. 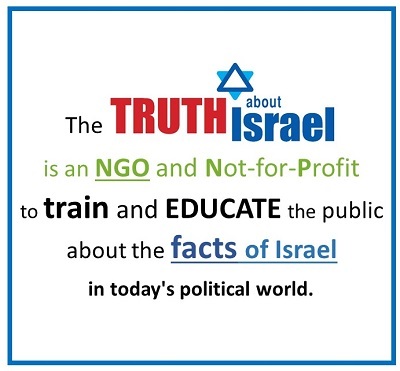 The organization is a part of a network of Palestinian NGOs who work to isolate Israel and attack her diplomatically. Israel and the IDF must internalize that we are in the midst of a fierce advocacy and diplomacy campaign. During every operation, as a part of the operation orders, the IDF must include documentation that will unequivocally prove in real time the real circumstances, truly showing the IDF as a moral army doing everything it can to minimize harming innocent civilians. Perhaps documentation such as this could have prevented the notorious and infamous Goldstone Report. When it is revealed that this video is fabricated, we must hit these organizations where it hurts them the most: the tax-exempt fundraising. 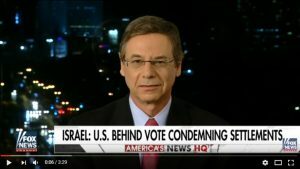 Israel ambassadors in countries where these organizations seek funding, mainly the USA, should work to have these organizations outlawed, denying them their ability to raise tax-exempt donations.